Refining is a simple distillation process whereby crude oil is heated and placed in a distillation column resulting in various products (fractions) boiling off and being recovered at different temperatures. “Top of the barrel” or lighter products such as liquid petroleum gas (LPG), naphtha, and gasoline are recovered at the lowest temperatures. Middle distillates such as jet fuel, kerosene, distillate (heating oil and diesel fuel) are burned off at a higher temperature than the lighter products. 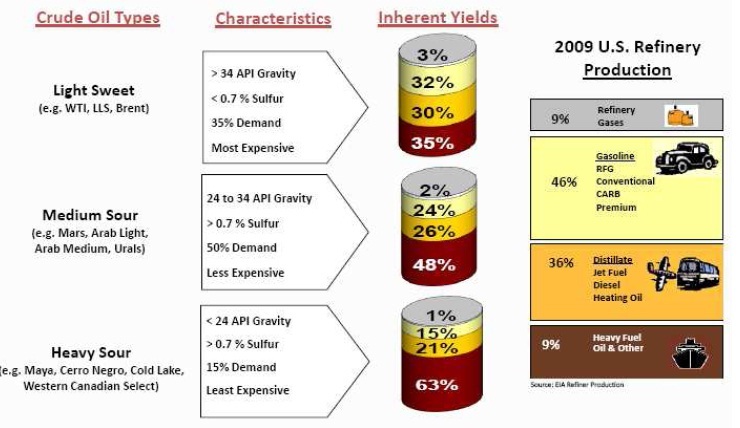 “Bottom of the barrel” or heavy products (residual fuel oil) are recovered at the highest temperatures. Following the distillation process, most refineries reprocess the heavier fractions into lighter products to maximize economic output. 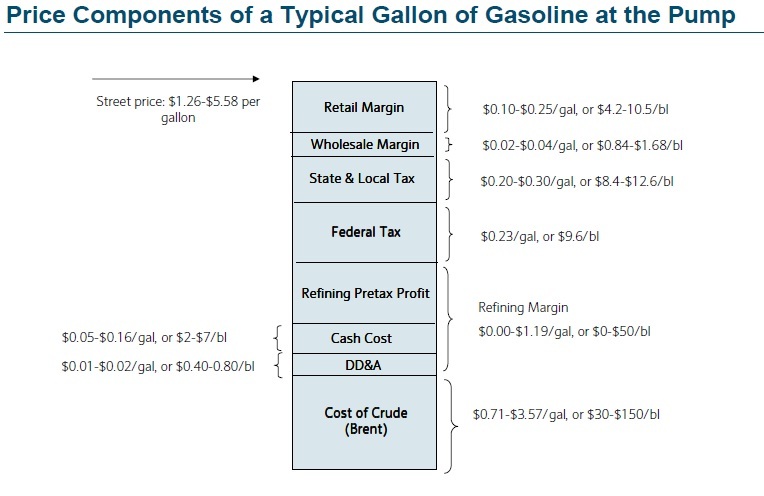 Refining margins (also known as “crack spreads”) are the differentials between the input price (crude oil) and the output price of petroleum products created from the refining process. For example, the “3-2-1” crack spread refers to the margin a refiner receives from processing 3 barrels of crude oil into 2 barrels of gasoline + 1 barrel of distillate.